Something twisted is stalking the Cunningham family. It lurks at the periphery of Beth's vision. Her husband Charlie can't help, if she could even remember him; he's doing time for a murder he didn't commit. 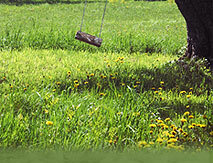 The small child Beth was found with, whom she doesn't know either, was taken to foster care. There isn't much time now. If Beth doesn't recall the hideous events that stole her memory soon, the killer will strike again, and someone else will die. "This is a plot worthy of Daphne du Maurier ... a compelling tale of innocence lost." "A circumstantial crime, a local conspiracy and no convenient Perry Mason. In The Last Innocent Hour, Sissel's writing is strong and the characters and their motivations clearly drawn." 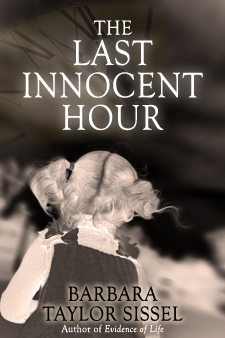 "The Last Innocent Hour is a taut psychological suspense thriller, exciting and quite dark with no light in sight adding an almost gothic feel." "Sissel's first novel is a worthy achievement ... along the lines of Iris Johansen. Frightening ... poignant. Sissel's strength lies in her multi-dimensional characters ... that make the reader react—with fear, with relief, with anger, with tenderness."